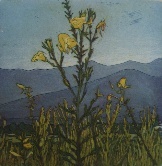 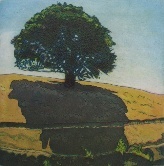 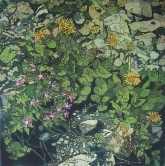 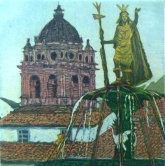 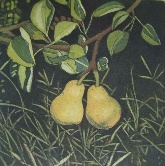 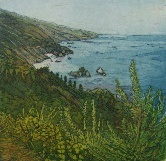 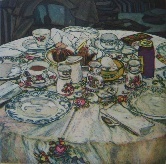 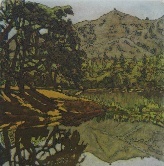 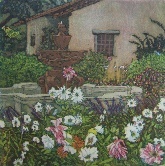 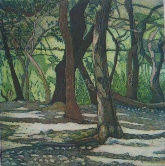 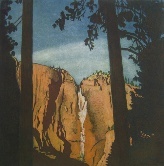 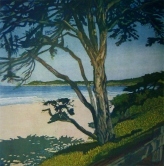 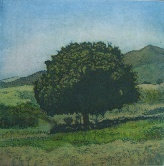 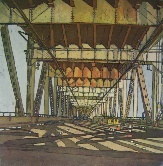 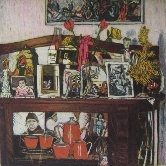 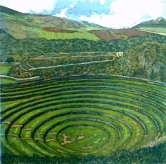 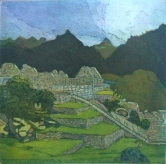 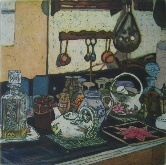 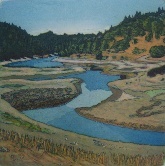 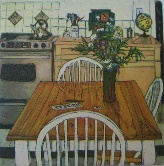 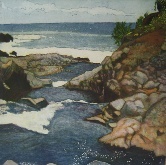 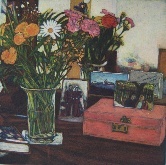 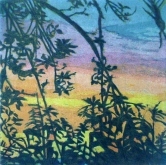 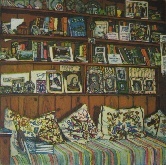 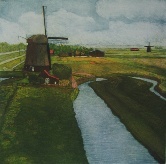 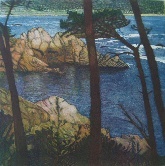 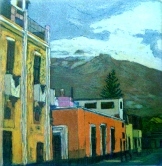 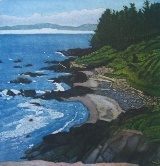 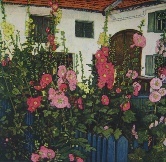 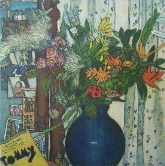 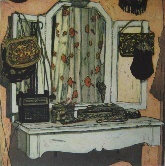 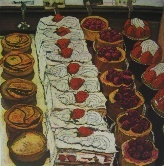 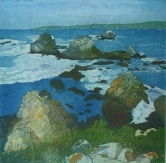 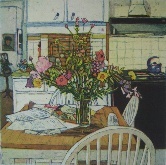 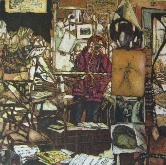 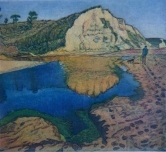 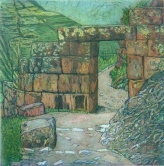 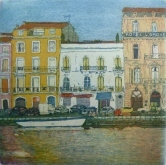 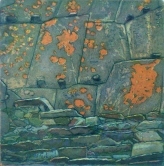 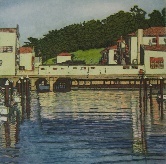 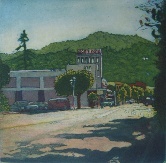 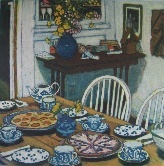 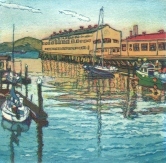 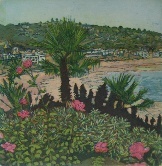 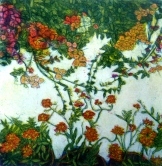 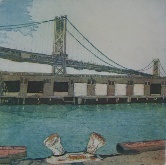 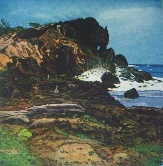 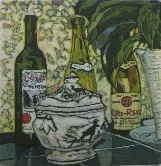 This multiple plate color etching is part of the Bay Area Connection series. 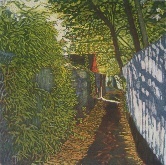 In this diptych, the top part shows a narrow footpath in Fairfax. 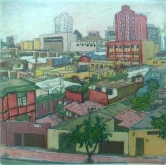 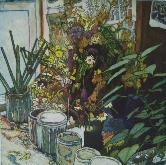 In the bottom part, the artist sits and paints in the garden after following the path from his apartment to his daughter's house.